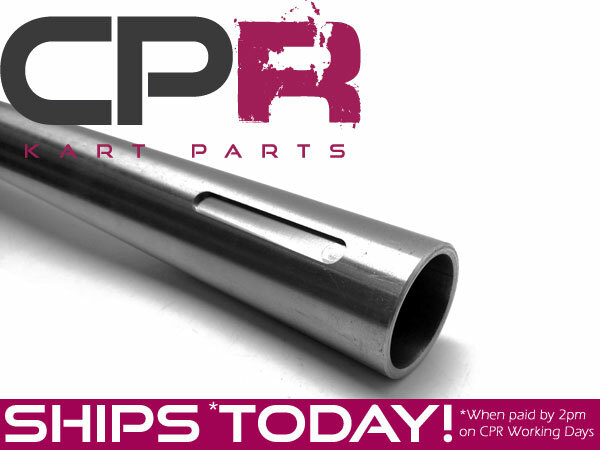 CPR PREMIUM SERIES axle shaft. Our Premium Series shafts are Italian made, high precision components designed for optimal accuracy and dependability. Premium Series shafts are for competitors who are serious about winning races, who are looking for quality components to complement their driving abilities without compromise. No Keys Included - uses our standard 8mm keys. This quality part is the same item used in our 40mm PREMIUM Series Complete Axle Kits.